Do you want to learn Japanese? Are you looking for a good course to help you? 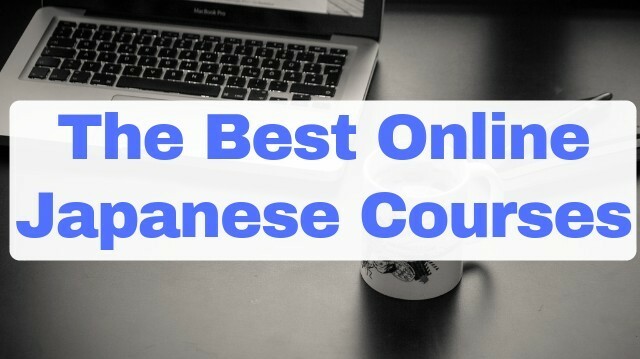 Well, there are actually quite a lot of them available these days and today I’d like to share the best online Japanese courses in 2019. I’ve used all of them myself at one point or another, so I’ve got a solid grasp on what they teach you, and how they do it too. What is your current level with Japanese? The reason these questions are important is because some of these courses are fantastic for beginners, while others are really better suited for people who are already at the intermediate level and are working on breaking through to fluency. Also, some courses focus more on teaching you conversational Japanese, while others aim to teach you everything from the four areas of language (reading, writing, speaking, and listening). So if you can answer those two questions for yourself, then you should be able to figure out which course will help you out the most when compared with the others. As a final note before we begin, I wanted to make sure that you know that all of the courses in this article have free trials so that you can test each one of them out for yourself before making a final decision on which one to go with. This is the perfect way to experience exactly how they can help you improve learn Japanese and get super great at the language. So make sure that you try at least one of them out! 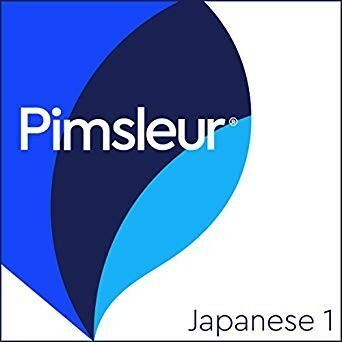 The Pimsleur Japanese course is well-known and has a reputation for being effective at getting you to a basic conversational level with Japanese in a rather short amount of time. The lessons are primarily audio based, and are kept to about thirty minutes per lessons so that you can find the time to practice each day, no matter how busy you get. Many people (myself included) do the lessons while driving to and from work or school each day. Each lesson starts off with a short two-minute conversation in Japanese, and then the full lesson begins by going over the vocabulary and grammar that you just listened to. Then you practice saying them yourself in listen and repeat style exercises. The Principle of Anticipation – What they have found is that teaching you certain words and phrases in the beginning of the lesson, and then asking you to recall them later on actually boosts your memory’s retention rate. This then activates your mind to search for the answer, which it is usually able to do quite well. I personally never considered myself to have a great memory, but for whatever reason, this method works! Graduated Interval Recall – is a science based on how quickly people naturally forget. Another name for this is Space Repetition System (SRS). So the first time you learn something, you naturally forget it within a day or two. That is unless you are reminded about it before you forget it. Then your memory generally goes out about a week before it forgets, but if you are reminded again, then the memory gets strengthen to several months. This process continues on until the memory is locked in forever, and you never forget it. So that’s the science behind the two primary techniques that Pimsleur Japanese used, but before we move on to the next course I want to highlight a few other things about this one. The real strength of this course is that it goes over common words and phrases used in conversation many times, breaking down each word into its individual syllables so you can fully grasp them, before moving on to more complicated topics. This course is perfect for people who are beginners and want to be able to speak in Japanese with natives fairly quickly (30-90 days of practice). But there are a couple drawbacks to this course as well. The first one is that the course doesn’t teach you how to read and write Japanese. Seeing as how that aspect of the Japanese language is so large, you will need to take a different approach in order to learn hiragana, katakana, and kanji. The other thing to note is that the Pimsleur course focuses on a small core vocabulary of several hundred words so that you can lock them into a deep level and use them in an easy, almost unconscious manner. But of course this means that you will need to continue to learn additional words and grammar structures on your own after you’ve completed the Pimsleur. Gets you speaking real Japanese quickly. Lessons are 30 minutes long, so it’s good for busy people. Won’t teach you how to read or write Japanese. Vocabulary is limited to several hundred words. Rocket Japanese is an incredibly interactive course that not only includes on lessons all aspects of the Japanese language, but it also utilizes many different testing methods so that you can practice the parts of the language that you want to learn the most. 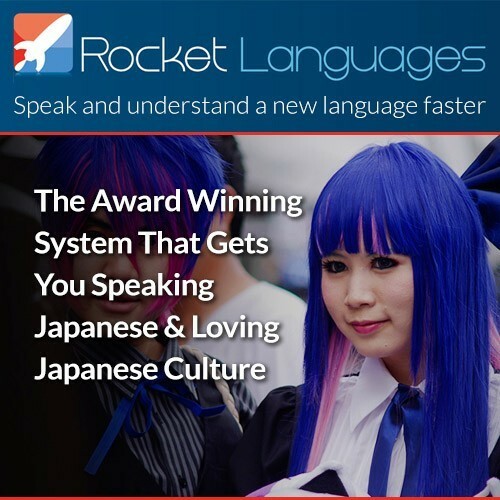 There are three sections in Rocket Japanese with different types of lessons in each, and they all work together to help you understand the language. The first section is the primary lesson where you listen to a short conversation in Japanese, and then the hosts explain the words and grammar that you just listened to. This is very similar to the format of the Pimsleur course, but the primary difference is the amount of practice exercises at the end of the lesson. Also, you get to see the written Japanese as well, so you can practice reading and listening at the same time that you are going through the lesson. And several more as well. Perhaps the single strongest aspect of the Rocket Japanese course is the built in recording function that allows you to test your pronunciation and then compare it to the native speaker. Yes, there is a computer grading system that will give you a percentage rating on how well you did, but in addition to that I find that listen to your own voice and manually comparing it to the native helps you to make course corrections as needed. The second section is actually a combination of grammar and culture. Usually it will start off by going into great detail on the rules of the grammar that were used in the first section’s conversation. If you enjoy learning how Japanese grammar works, then this part is perfect for you. Then it moves on to talk a little bit about Japanese culture, history, trivia, or anything else that plays an important part of learning the Japanese language. The third section teaches you how to read and write all of hiragana, all of katakana, and a fair amount of kanji in the later parts. You will of course be doing these exercises through the computer, so you could say that it teaches you both how to write, and also how to type Japanese. Now I do have to warn you that in the first level of Rocket Japanese (there are three in total) one of the speakers is actually a gentleman from England, and he speaks Japanese with an English accent. This isn’t really an ideal situation, since it’s usually better to listen to native speakers of Japanese when learning it, but fortunately the second and third levels of Rocket Japanese (which both have much more content in them) are both native Japanese people, a lady and a man. It starts off with total beginner material, and then every lesson builds from there until you get to the point where you can engage in everyday conversation with natives on a variety of topics, as well as read all Japanese kana, and a lot of the most common kanji. Good for beginners to intermediate level. Teaches all aspects of Japanese (reading, writing, speaking, listening, and culture). One of the speakers in Level-1 has an English accent. If I could sum up JapanesePod101.com in a two words it would be these: Massive content! This course has (arguably) the largest selection of material to learn Japanese from, which starts out at the “absolute beginner” level and zips right on to the “advanced” part, and then goes to finish off with some bonus stuff. Now like the name indicates, the primary method that is used to teach you Japanese is through podcasts. Basically there will be a lesson such as a grammar point, or a short dialog that you will hear, and most of the audio lesson will be spent going over it and providing explanations. However, the really good news is that there are transcripts provided as well so that you can read the Japanese that you listen to and really lock the information in. In addition to the above methods, they also have some video lessons of native Japanese speaking that you can watch and then learn from, which is a great way to use visual cues of “what’s going on” in order to understand the message behind the what is being said. There are also a lot of additional features that you can take advantage of (did I mention they have a lot of stuff?) such as flash cards, high frequency word lists, and of course tutors that can do a live session with you so that you get the exact answers to any questions you may have. Basically, if you can think of it, then the chances are pretty good that JapanesePod101.com has it included. However, all of this content can make it a little hard to know how you should progress through the material. It’s pretty easy to get lost, or feel like you need to go through each and every single lesson so that you can understand the later ones, but this isn’t necessarily the right way to use the course. I think that if you have a pretty good idea of what level you’re currently at, then you should go to the lessons in that part first and choose the topics that you find most interesting. Once you’re done with the lesson, go ahead and move on to another one, but feel free to come back and revisit an earlier lesson to practice how much you still remember. 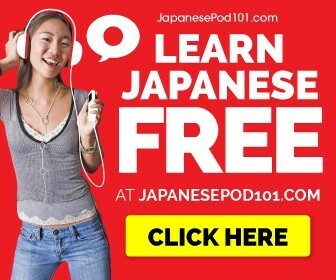 I personally like to study Japanese on my computer, so I can listen and read the language, but JapanesePod101.com is versatile, so you can also download lessons and take the on the go (in your car, while running, etc). Be sure to take full advantage of the technology that they offer in order to maximize your study sessions. In short, this course will provide you with tons of useful content, and it is then up to you to make the most out of it. Good for absolute beginners to all the way up to advanced level. An incredible large library of Japanese content to learn from. You can improve your listen, reading, and conversation sills (with the tutor) among others. It’s easy to get lost or not know how to proceed through the material. Now we get to the heavy hitting courses for learning Japanese. This one (and the next) aren’t very well-known to the general language learning community, but they are incredibly powerful at helping you to improve your Japanese. But let me be clear, you’re going to have to work at it. You are going to have to put in the daily effort and time with these courses in order to see improvement because they are serious business. But if you are willing to do the work and put in the time, your abilities in Japanese will be transformed. The Glossika Japanese course is designed to help you break through to spoken fluency in Japanese. To break it down to its most simple form, you’re going to be listening to a lot of natural, full Japanese sentences and then repeating them exactly the same way you heard them. There are additional techniques that you can use with Glossika, such as listening to a sentence and then writing down what you heard, or recording yourself and comparing it to the native’s pronunciation, but at its heart this course it all about getting you to listen and then speak full Japanese sentences, at the natural speed that a native uses. Pretty heavy stuff, but incredibly exciting too! Now when I say “speaking a lot” I’m talking about tens of thousands of sentences (over the course of a couple months). Now what happens if that person does 50,000 reps in a year? They gain a strong, good-looking body as a result of this hard work. Nobody is surprised at the result, nor do they doubt it’s effectiveness because the results are clearly seen. Glossika is just like that, but for the spoken language. Once you’ve listened to and then spoken 50,000 sentences, you will be confident in your abilities to communicate naturally and fluidly. Personally I think that you should keep going until you break 100,000 sentence reps, but that’s just my personal bias because that was my personal goal when I used it. The sentences are chosen based on their grammatical structures (and common vocabulary) so that you get lots of exposure to the kind of phrases that people actually use in real life. Then an algorithm decides which sentences need to be reviewed and practiced each day, so that you’re always working efficiently, and you don’t waste any time. What Glossika uses is called a “decreasing interval system” which simply means that the same words ad sentences are used several times per lesson, and in subsequent lessons, so that you brain gets a lot of exposure to them and is able to assimilate them naturally. The nice thing is that you don’t have to worry about any of that computational stuff. 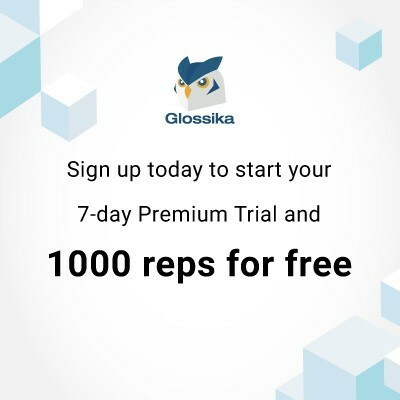 The Glossika program takes care of all the back-end, heavy lifting so that you can focus all of your time and attention on the Japanese language. Now, I’ve said that Glossika truly shines when it comes to the verbal part of the language, but it actually uses the written parts of Japanese as well for each sentence so that you can see how they are spelled. So if you are already familiar with how to read Japanese, then you can use it to build upon and improve your existing knowledge, but the course doesn’t explicitly teach how to read Japanese, so it’s not super helpful for people who are beginners. Glossika also doesn’t explain how the grammar of Japanese works, since it takes a more top down kind of approach by giving you lots of sentences with their English translations, and then allows your brain to naturally pick out the patterns. This can be really frustrating for people who are just starting out with Japanese, but on the other hand it’s perfect for people who already know the essential Japanese grammar, and are instead looking to break through to fluency. Honestly, I would have say that this course is not something I would recommend for people who are just starting out with Japanese due to the initial difficulty level of the stuff that it doesn’t go over. But if you are at the intermediate level of Japanese, then this is probably exactly what you need to break through to fluency! Perfect for people at the intermediate level. Algorithm decides which sentences need reviewed each day (efficient use of time). Specifically designed to help people break through to spoken fluency. Doesn’t teach how to read Japanese. Doesn’t explain how grammar works. The final online Japanese course that I want to talk about is called LingQ (pronounced “link”) and it was created by Steve Kaufmann who speaks 16 languages as of now (he is constantly learning new ones) and about 10 of those languages he learned through this exact course. I’m pretty sure he created LingQ for himself, but then decided to share it with us too! Basically, the way that you learn Japanese through LingQ is by doing lots of reading and listening on material that you can both comprehend, and that you find interesting. Understanding the messages that are being conveyed in Japanese is the primary principle behind the input hypothesis for language learning, and by choosing material that we find interesting, we are that much more motivated to stick with it until the end. This idea of reading and listening a lot isn’t anything new, but what LingQ does specifically, that I have yet to see anywhere else, is that when you encounter a new word that you’ve never seen before, you can click on it and then select (or create) the definition for the new word, and save it. That way the next time you encounter this word or phrase again, you can instantly see what it means! This is incredibly powerful for several reasons, but the primary one is that instead of spending one or two minutes looking up every single new word that you read, you can do it in mere seconds. Think about how many new words are in a typical Japanese book. It’s a lot, and that’s the main reason why learning through books has always been so hard and inefficient: You spend all of your time looking things up, and none of it actually engaging with the language! But LingQ fixes that major problem because looking up new words only takes a few seconds the first time, and then even less each time you see that same new word again. To summarize this particular point (which is a biggie): LingQ allows you to spend all of your time engaging with the materials, instead of looking up the new words in dictionaries, which allows you to become fluent that much faster. The other powerful thing that LingQ does is it allows you to import digital books and audio books that you personally own, so that you can choose the exact material that you study and learn from. If you’re asking yourself right now “is this how I can learn Japanese from the Harry Potter books?” then you are spot on! I am doing this personally myself, and I can’t tell you how nice it is to get enjoy a great story you love, and oh by the way LEARN Japanese at the same time! But having said all of that, there are a couple things that LingQ is currently weak at when it comes to the Japanese language. The first of these is the available content that you can choose from in the public lessons section. It’s rather limited for Japanese since it’s not one of the more popular foreign languages. This means that you will need to get a hold of the books that you want to learn from yourself, then upload them to your account. The other thing is that the computer program that scans and detects words isn’t always the best at determining where one Japanese word ends and the next one begins. I would say that about 10% of the time the computer gets it slightly wrong and tries to take a piece of one word and tie it into the next one when it shouldn’t. This isn’t a huge problem if you’re already at an intermediate level with Japanese and are able to intuitively know where one Japanese word ends, and can then look it up to verify your hunch. But if you are a beginner, then this will probably become very annoying for you and (unfortunately) become a big headache. Having said all of that though, this is one of the very few courses out there that can take you all the way to fluency (in fact, that’s one of their motto’s!). The primary reason is because you learn primary through native content, both reading and listening, so it’s 100% accurate to how Japanese people actually use the language in the real world. By the way, you can also get help from live tutors as well! So this course should have you covered when you are ready to begin speaking too! Good for intermediates since you learn from native Japanese content. Ability to import you own eBooks and Audiobooks to learn from (Harry Potter, for example). The ability to look up and save new words in a matter of seconds. The computer program has trouble distinguishing what a word is (~10% of the time). A limited amount of compelling content already available. Which One Are You Going to Try Out First? Now you have a pretty good idea on how these courses work and what they can do for you. You also know how to try them out for yourself (totally FREE) so that you can get a real hands-on experience for their techniques and methods. Hopefully I have helped you to understand how they work and given you an idea on which would be the best one for you, but if not, then let me know by leaving a comment below. Remember, you get to try them all for free so take action, and take action now! Have you already tried any of these courses before? What was your experience with them? Did you like them, or did you think there were some points they could have done a better job at? Let me know what a comment down below! This came in handy as My Cousin’s son is now living in Japan. He has been there on and off for a few years with work then finally met his soulmate there and they got married. Fortunately she knows English as well so that comes in handy. He knows some basic Japanese and she helps him out with the rest but I know he wants to learn more as he is thinking of settling there permanently not only because of his wife but he loves the culture, lifestyle and all that comes with it. I guess the learning Pimsleur would be of great benefit to him which will help him learn a lot more much quicker at the beginning this will certainly boost his confidence with learning the language. Certainly would impress tin In-Laws as well. I will let him know about this site that way he can make his decision which method would work better for him. Hey that’s pretty awesome! I’ve heard a saying that “It’s one thing to fall in love with Asia, and another to fall in love in Asia” and it sounds like your cousin’s son has been fortunate enough to experience both! Yeah, I would definitely recommend Pimsleur for learning how to have conversations with natives in Japanese, but depending on the level that he’s already at, it might be more beneficial to use Glossika which also teaches how to speak to natives, but is a much more advanced course. 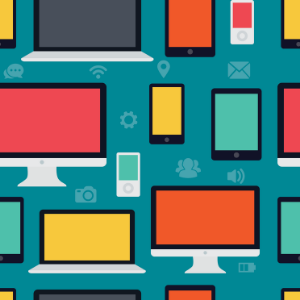 Does any of the online course above provide learning via smartphone app? Also, my goal is to be able to at least understand written Japanese. How much time do you think I should spend to learn it? Thanks! Yeah, if you want to be able to read Japanese, and specifically be able to use an app on your phone, then I would recommend Rocket Japanese for beginner stuff, and then once you’re at the intermediate stage I would use LingQ. Both have apps on the phone, and Rocket Japanese will specifically teach you how to read the Japanese characters and learn the basic grammar and vocabulary and such. Then once you’re got that solid foundation in the language, you can primarily use LingQ to learn from native content. This will allow you to learn the 10,000’s of words that are necessary to be able to read any game or book that you come across in Japanese. As for how long, it really depends on how much daily time you spend with it. You can learn all the basics and how to read within six months by doing an hour or two a day, and from there it’s really just a matter of adding new words to your passive vocabulary each and every day. That’s one of my goal, to learn Japanese language, I love Japanese culture and want to visit someday Japan. In past I watched many Japanese anime and movies with English subs only…That’s helped me to keep in mind a lot of Japanese words, also I have bought Japanese CD learning lesson, how to speak and write In Japanese. But due to lack of time I abandoned this idea. Now I want to come back and start again. In spring will be private courses lessons of Japanese, it’s not so expensive so I want try it to join the group of private lessons. So, I think now what is better online courses or private or maybe even both. Anyway, it’s a good topic to think. どうもありがとうございます, for that post of yours. Yeah, belonging to a community of like minded people who are all working on learning Japanese can be a really positive experience and help keep you motivated along the way. And having an experienced teacher who can answer questions and provide advice is something that can make the difference between moving forward with confidence and clarity, or struggling in doubt. I know I have certainly reached out to a lot of people and learned from them on this. All that being said though, there is certainly a lot of work that has to be done by the individual in order to really acquire the language and become good at it. Any of the courses will help with that, you just gotta’ find the one that is right for your goals. That’s a great article about Japanese courses. Thanks a lot. I have been thinking about learning some basic conversational Japanese before my trip next summer to Japan. Is it possible to do it in 10 months spending about 2 hours a day learning Japanese? If yes, then which course would you recommend for a total beginner? I’m kind of undecided between the Rocket Japanese and Pimsleur Japanese. Good thing, it’s possible to try them for free, so maybe I’ll try both first. Yeah, I think that 10 months of 2 hours daily is a very admirable goal, and you would actually make some really great progress doing that. If your goal is basically to speak with the natives when you visit, then I would recommend Pimsleur. The way it’s set up, you really only need to do 30 minutes a day. But if you wanted to be really good, then anything above that 30 minutes per day would surely help. If your goal is to be able to use Japanese at a high level eventually, with reading and understanding a lot of the grammar rules and such, then Rocket Japanese would be the right choice. Like you said though, the free trials make it easy to try them both out and then decide. It’s pretty great! Absolutely love how you give honest pros and cons for each program. When I was in the Marine Corps Inspent a year in Okinawa and really enjoyed the culture, food, and people. You’ve made it real easy to take the first steps to learn Japanese. Getting to try a few free is a real bonus. Great job! Yeah, I felt that each course was good, but it all depending on what aspects of the language you wanted to learn, how you like to learn, and also your current level of knowledge. So it only made sense to talk about the down sides since some of the courses are way harder for beginners to get started with. Hey, I’ve got a buddy who spent some time in Okinawa with the military this year. He said the same things about the fantastic food! Hello Nick, how are you? First of all, thank you for explaining in detail each course. I am a beginner, I do not know anything about Japanese so I have to see a special course for beginners. Yeah, if you are a total beginner and are looking to learn all aspects of the language, then Rocket Japanese is a fantastic course to begin with. I love Pimsleur, but it is really geared towards people who are looking to start speaking within the first month. So it has a different objective than Rocket Japanese. The other option that would work is JapanesePod101, which is also geared for beginners with lessons on how to read Japanese characters and learn to speak the language, but it uses a different format than Rocket Japanese. So you might try both out to see which one you prefer before making a commitment to one of them. Your post is very informative about online japaneses courses. There has obviously been a lot of research done to put it together. While traveling extensively around the world I learned a few phrases in different languages. This opened up new opportunities to learn the culture and way of life in each of these places. People respond very favorably, even in stressful situations, to travelers that can speak or at least try to speak the local language. I can’t count the number of times I got out of difficulties simply by knowing how to ask “Hello, can you help me?” to a native. Saying the same thing in English gets you a totally different and non-helpful response, usually “no speak English” and a shrug of the shoulders. Although I’ve never been to Japan, I have worked with Japanese folks and learned a few phrases from them. I would like to know more. It seems that Pimsleur Japanese would be a good start. However, I also like to be able to read signs and directions in airports, for example. What are the differences between hiragana, katakana, and kanji? And how is each used? Yeah, you’ve hit upon a golden key of foreign language learning. That is, when you try to use someone else’s native language to communicate, then will typically bend over backwards to understand you and then help you out. But if you just use English with them, then there is a tendency for them to just give up and leave since they don’t usually know enough to communicate. If you want to learn how to communicate on a basic level fairly quickly, then I would agree and say that Pimsleur is by far the best course to use. Hiragana: A phonetic system that is used for some Japanese words, and a lot of grammar functions. Katakata: The same phonetic system, but looks different and is usually used for loan words (not of Japanese origin) and mimetic words such as イライラ = to feel irritated. Kanji: A system of symbols that each represent an idea (sometimes multiple) and has several potential ways to pronounce, depending on context. There’s a little over 2,000 that all Japanese natives are required to learn for literacy. Thanks. If I had to learn just one of the written languages for traveling, which one would be best? For example, which one is used in airports, on road signs, retail store signage, restaurants, and so on? Well, hiragana is the easiest one to learn since it only has about 50 characters in it, and it is widely used in media aimed at Japanese children. I actually read an article the other day that said Japan was replacing a lot of their signs with new ones that have both Japanese and English on them, because they are expecting an incredible amount of people to visit during the 2020 Summer Olympics. So depending on when you go, you might not need to know how to read at all. Let me give you a final verdict on this question: I would say if you are only going to visit the country, then just focus on learning how to communicate through speech. This will allow you to talk to natives and ask them for directions, what signs mean, etc. But if you want to learn Japanese to a high level so that you can use it like you do English, then learning how to read will become vital. You have to keep in mind the time commitment for what you want to be able to do with the language. Your review is very in depth, you really did a great job. Japanese has to be one of the hardest languages to learn, in my opinion. Learning any new language is difficult, as a complete beginner the Pimsleur would be the one I would want to try. I like how it gets you speaking Japanese quickly, and it doesn’t include reading and writing. I would want to speak it before I learned how to read and write it. It’s great that all the courses have a free trial, that way you can test them out before you commit. Yeah, when you look at various charts that measure how long it takes to learn a foreign language for English speaking natives, Japanese is always in the group of “hardest languages to learn” lol! I also really enjoyed Pimsleur and I think that it is a powerful way to start your language learning journey. Not only does it get you speaking right away, which is a huge accomplishment in and of itself, but it also had you focus on the aural part of the language. As it turns out, I am actually reading Dr. Pimsleur’s book on how to learn a language now, and I can clearly see how his philosophies are reflected in the structure of his courses. Great stuff! My teenage daughter would like to learn Japanese as she really loves anime and a lot of it is in Japanese. She will even sing the opening and ending songs that are in Japanese. So she has learned a little bit while watching these anime shows that she loves but I am sure she would love to learn even more. Yeah, the media that originates in Japan is exactly why I started learning Japanese, so I can totally relate to that. It is a really cool feeling when you can watch an anime in the original language without the aid of subtitles. If she’s looking to start learning, then any of the free trials on the beginner courses would be a good place to start learning. Even if things don’t work out, at least it won’t cost anything. Hey, that’s pretty cool that you have a Japanese relative! Being able to communicate with family is a great motivator for learning a new language. For me, I liked them all for very different reasons as they each helped me at different points. Right now, I use and enjoy LingQ the most since it allows me to read Japanese novels and the news, and it only takes seconds to look up new words. But back when I was first learning the beginner stuff, I used and enjoyed Rocket Japanese the most. Hope that helps! Nick, this is a fascinating post! I learned Japanese while living in Japan in the late 1970’s. I learned by taking Japanese language instruction offered by the University of Maryland overseas program. We learned reading, writing, speaking, and listening simultaneously. The instructors were native speakers. And after a few classroom sessions in both English and Japanese, classes evolved into entirely Japanese. I have not spoken Japanese since leaving Japan in 1980, except for a brief visit to Nagasaki Prefecture in 1983. I enjoyed my time living in Japan. Hey that’s pretty awesome! I can only imagine what learning the language back in the 70’s was like when compared to today’s environment! It sounds like you learned in the best way, and even today it would be a very effective approach if you were able to enroll in such a course. Hopefully as time goes on, more and more people will gain an interesting in learning Japanese, and we can have access to ever greater resources for learning it! I love that you can try these sites for free first and see which one is the best fit for you and is the easiest to use before having to pay out any money. I don’t think Japanese is the easiest of languages to learn. I admire people who are willing to learn a new language, as I think the older you get the more difficult it gets. It’s wonderful though that there are so many ways nowadays to learn different languages without the need to hire an expensive tutor or go to classes. Yeah, I also really like the free trial aspect of it, because back in the day you had to pay the money up front and just hope it was a good course. Now you can absolutely make sure before investing in the course. And when compared to tutors, all of the courses are SUPER cheap! The average cost for Japanese lessons is $20 per hour. That means that as little as 10 hours, which you could easily do in two months, would be $200. You could get an entire course for that same price, and it would last you more like six months or more. The advantages of a tutor are when you’re at an intermediate level and you can hold your own in a conversation, and you also already know what sorts of questions you want to ask. At least, that is my personal opinion on the matter. Wow–that must have been a lot of research and time to put this all together. I think based on the pros and cons, Rocket Japanese would be best for my situation. I have no experience with Japanese. It is unfortunate that one of the voices has an American accent because I could see how that would throw things off, but I do like that fact that it teaches all aspects of the language and seems easy to navigate. Yeah, the accent thing probably isn’t too big of a deal at the beginning, because you need a lot of listening time and practice to get really good at the sounds of Japanese anyway, so a little accent at first won’t kill you. But I still think it would have been better to just have natives for all three levels. That being said, the second and third levels of Rocket Japanese are both native speakers, and these levels have much more content in them than level one does, so in the end it all evens out in your favor. Hi Nick, it is clear that you have done extensive research into subject before your review and you have provided some very relevant information to support your findings. i am currently learning a second language and found some of your information around the science of learning quite applicable to myself. overall very helpful and an interesting review for those considering the prospect of learning Japanese loads of information to point them in the right direction. Yeah, it’s interesting to note how each course approaches learning the language in a bit of a different way. For example, LingQ is all about input through reading and listening to things you find interesting, whereas Pimsleur’s aim is to get you speaking to natives right away, and they therefore focuses on conversational topics through audio, and then their GIR determines when you review stuff. What I’ve found in my own experience is that all of these techniques and courses work, but you will be most effective when you pick the one that’s right for your current level and is also in alignment with your goals. It is nice, I would like to learn Japanese. Those courses look great but for me the first will be the best, Pimsleur Japanese 1, when learning a foreign language first we have to learn to speak. Then writing and reading is for advance learning. Your review about learning Japanese is great…I don’t think it is free 🙂 nothing is for free! Thank you for your post. Yeah, if you want to get the full course then you’ll definitely have to invest in it like you would if you attended college or something. But having said that, you can still get the first few lessons for free and see if you like it before committing to it and really going at it. And I would say that I have to agree about learning to speak before reading, especially with Japanese and all of its crazy writing systems. It is fairly easy for a person who speaks fluently to learn how to read that particular language, but the reverse situation isn’t necessarily true. This is something that I learned about from the founder of the Glossika course, since he experienced this exact situation many times while teaching English to Chinese students. It’s also why that particular course focuses so heavily on learning how to listen to and speak foreign languages as they are actually spoken. Both aspects of the language are important, but speaking it (especially at the start) is more important than reading it, IMO. I’ve got a sister that lives in Japan now and I’m thinking about going to visit. She says it’s no big deal, but I really want to learn a little bit of the native language before I take a trip over there. I’m not sure about becoming an expert in Japanese, but I think some of the options you shed some light on here may at least help me get a working knowledge of some of the finer points of the language. I just want to seem not completely ignorant of the local customs and ways, you know what I mean? I hear you on that one! And I think that you’ve hit on one of the important points when it comes to language learning. Namely, what are your goals with the new language. A lot of people just want to be able to communicate with natives about some essential things, like directions or placing an order, and also some small talk such as talking about where you’re from and what you do for a living. This is, in my opinion, a very admirable goal since you can do it fairly quickly and see results in a matter of a couple of weeks and months. There’s certainly no need to learn everything over the course of a few years for this particular situation. Out of all of these courses, Pimsleur is definitely going to be the one to go with since it focuses on exactly what we’ve talked about. I have always wanted to learn Japanese, every time I walk into a sushi bar and hear “arigato”, I just want to be able to converse with the Japanese speaking staff. I have not been to Japan either, but I would love to visit, everything about this culture and way of life – is just beautiful. My mother is Spanish, and I speak Spanish – although not well. But when I went to Spain for a holiday it was so much easier to learn the language, and I became fluent in the language back then. When I book my trip to Japan – I will try out your course, it sounds perfect, thank you! Yeah, there is just something incredibly powerful about actually going to the language where it’s spoken by millions of natives and learning it there. But of course they are all at the master level, so it’s hard at the beginning stages to learn from it. That’s where (in my opinion) these beginner courses come in. They allow you to start learning and understanding the new language in a way that makes sense and is also quite enjoyable. You can then use what you’ve learned when speaking to Japanese people whenever you meet up with them. Combining these two it definitely the fastest way to go. But even if you’re not in Japan just yet, these courses are still a great way to begin the journey! I’m so glad I found your page. My little sister-in-law loves everything japanese and wants to improve her language skills. I’ll pass this on to her and she can decide which of the programs is best for her. She’s planning on going to Japan in a few years and wants to be able to hold a proper conversation. From what I’ve seen so far, Rocket Japanese might the best option, as she’s got some basic skills, but also wants to learn how to read and write better. Yeah, all of these courses are really great for learning Japanese, but they all kind of aim to help people out in different ways. Rocket Japanese is a great one if you want to be able to speak Japanese and read it too. Since the lessons are all based on conversations, you’ll be sure to improve you ability to communicate with natives as you go through the course. and the fact that there are Japanese and English letters allows you to learn to read it no matter what you current level is at. That would be totally awesome to live in Japan for a couple of years! Tell her good luck! I have been trying to find the place place to learn Japanese for quite some time now, but everyone got fixated with Rosetta Stone. I love what you said about Rocket Japanese that makes it stand out more-so than the others you listed. I love that there is a person with an English accent helping you learn, as that makes it a bit more understandable from a learning perspective. I also like how it help you learn how to read, write, and speak Japanese at an even pace. Lastly, IT HAS A RECORDING FUNCTION!!!! This is perfect!!! Being able to hear how you sound and then compare it to a native speaker – perfect training platform. I have found my Japanese learning platform! Yeah, it’s funny that you mention Rosetta Stone because that’s what 90% of the population thinks of when it comes to a language learning course (bar college classes, that is). They have the best marketing by far. But in my personal experience, Rocket Japanese is vastly superior for many reasons, some of which you’ve pointed out yourself. Their recording functions in particular are incredible because they allow you to hear your own voice the way that other people do, compare that to the native, and then make any course corrections necessary to improve your intonation and accent. To be honest, listening to myself speak Japanese is not a very fun experience. Actually, I don’t like hearing myself speak English either! But it really does help if you want to sound like a native in the language you are learning. I know that English is the most difficult language to learn but I believe Chinese & Japanese are almost as difficult. I know there are great courses for beginners now. I remember when I was younger & there was only Rosetta Stone. I heard of people struggling with learning languages from them. Now there are plenty of other helpers. You can pick based on your needs & wants for a course. I love how there are free trials also. Yeah, back when I very first tried to learn Japanese I was pretty enamored by Rosetta Stone, and I was convinced that it was all you needed to learn a new language. I think that they certainly have their good points, but it’s more of a beginning to a new language, and certainly not a finish. But like you said, nowadays there are tons of great programs and a lot of them (like LingQ and Glossika) can actually help you to break through to fluency as long as you are willing to put in the necessary time and effort. Of course, they are much harder than beginner courses, so there is a balance that you need to keep in mind. I have never heard of graduated interval recall, but I find it very interesting. Routine reminders at set intervals are used to help you remember. I can now see how this was used in a language course that I took in the past, but I didn’t realize why they were doing that. In your experience, is it fairly easy to take advantage of the free trials for these programs? What I’m worried about is signing up, not liking it, and then having trouble stopping the payment before the free trial is over. If you have any personal experience about how that works with any of these programs, that would really help! Yeah, as for the graduated interval recall, that’s just the name that Pimsleur uses for what most people in the language learning space know as a spaced repetition system (SRS). Basically, they remind you of information right before your brain naturally forgets it, so that you can spend most of your time learning new words instead of spending it all on review. And as for the free trials, it’s actually pretty rare that anyone asks you for a credit card to try them out these days. I know that for Rocket Japanese, LingQ, Glossika, and JapanesePod101 they just need your email to create the account. You won’t be asked for a credit card unless you want to gain access to the full program. I’m not too sure how Pimsleur does it, since I’ve had their course for a while now and never needed to do the free version, but I’d be willing to bet that it’s the same – only an email required. If you try one out and don’t like it, then you can just stop using it and you’ll never need to worry about being charged for anything. Yeah, there are incredible huge advantages to being in the country whose language you want to learn. Some of it is the availability of natives to converse and connect with, and some of it is the shear fact that you HAVE to learn the language in order to function properly. That being said, learning only through immersion is not only frustrating and painful, but it can also be very slow when the language in question differs greatly from our native language. English and Japanese are a great example of this. From my own personal experience, and from the research that I’ve done, a blend of both is the best and fastest way to learn the language. Immerse yourself as much as you can, but be sure to spend time each and every day learning the language in a way that is 100% comprehensible. That’s exactly what these courses do, they help you to learn Japanese words and grammar in a way that you can truly grasp, remember, and then use. Yeah, you are most welcome! It’s pretty cool how the internet has shrunk the world and allowed us all to connect with places and people that are thousands of miles away. It also lets us learn a new language better and faster than ever! I’ve heard many times from people who learned a foreign language 10 or 20 years ago how they wish today’s resources were available back then! There are new and better Japanese courses coming out all the time, but these ones are the best that I’ve used so far. I’ll be sure to update the list in the future if something even better hits the internet. Thanks for sharing these reviews on the best online Japanese course 2018! For a beginner like myself, I would say the Pimsleur Japanese course would be the suitable course to take, though it’s quite expensive but it cater to beginner well enough to jumpstart the learning process while it focuses more on speaking and listening, It can become a survival guide for a traveller who wants to visit Japan. Yeah, that’s a pretty good point. It really does focus on teaching you the word and phrases that would be most useful if you were to travel over to Japan and start talking with the native that live there. What I’ve noticed is that it takes different things to be able to function differently in the language. So for example, it takes a specific set of vocabulary and grammar to be really good at talking with people in Japanese, but those same things won’t necessarily make you good at understanding movies or shows. 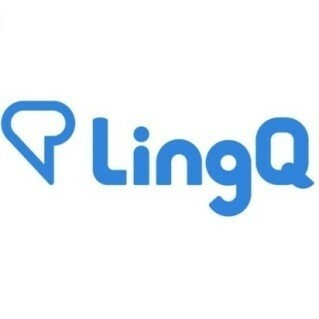 It seems like the media designed for entertainment uses quite a large range of vocabulary and expressions, so a course like LingQ would be better suited for that. Like I mentioned in the post, in order to know which course is best for you, you need to know what your current goals are with the language. I love to visit Japan and looking for the best course that can teach me Japanese in quick time. Rocket Japanese seems to be a good course and there are plenty of good reviews about it. Which course is according to you good for a beginner. I can dedicate 2 hours per day and want to learn basic Japanese in 3 months time. Hey sanjay, that’s awesome! 2 hours a day is a great goal to set for yourself, and also one that will guarantee that you see results in a manner of months, instead of years. Personally, that is one mistake that I made: not spending enough time per day with the language, but I corrected it and have been amply rewarded ever since I took it to the next level. Rocket Japanese also has a special place in my heart since the material that it teaches has appeared many, many times in native media such as anime and novels that I spend my free time enjoying now. Thanks, Nick for the post. Honestly, I don’t believe that will learn Japanese, but thankfully your article can help me to fulfill my wish to learn Spanish. The Internet is full of different language learning tools and programs, so it is hard to choose the right one. I do not want to claim that I will choose Pimsleur but looks like it is the really serious tool. Need to search for more info and make a choice although the price is rather steep. I totally hear you on those points. Learning a language, any foreign language, is a very personal decision and one that you have to make for yourself. That being said, I wish you the best in Spanish! I’ve actually considered learning that language myself after I’ve reached my personal goals in Japanese. We will see though, as I’m not so sure that I want to dive right back into the student’s life after graduating, so to speak. That being said, Pimsleur is a fantastic course, that also has a fantastic price, lol! If you ever feel that you’d like to use them, but aren’t sure how to afford it, I would suggest you check out their beginner courses on Amazon.com which are not the entire course, but get you started at a very reasonable price. I sometimes travel to Tokyo for audio shows and most of the times I mingle with people that speak English. However, I’ve always played with the idea of trying to learn Japanese, but I’m a busy guy and the thought of it being very difficult has always held me back. Thanks to your article I now know that there are options to learn Japanese for busy people like me. I think I’m gonna give Pimsleur a try. Yeah, learning Japanese is definitely a time commitment for anyone who wants to be able to read and speak the language at a high level, close to that of their native tongue. That being said however, you can drastically reduce the time if you’re only really interested in learning a part of the language (just verbal, for example). I would say that Pimsleur is fantastic to use when you are starting off and also when you don’t have a lot of time each day, but you’d still like to learn. If you don’t care too much about reading Japanese, and would rather just learn how to speak it, then Pimsleur combined with Glossika is a good way to go about it. I’ve heard of Pimsleur before while I was picking up French and they’re definitely worth a shot! They have tons of languages to master, I competed with my friend on who learns better – me through the streets, or him through pimsleur and boy was I surprised how quickly he mastered his vocabs! I’m thinking of picking up Japanese, how long did it take you to learn and mingle with the locals though, if you’re a freshman like me? Yeah, there are certainly a lot of different ways that you can learn a new language, and Pimsleur has been one of the better ones for many years now. The lessons are designed to be 30 minutes each, with you doing a single lesson each day. I would say that you can start having really simple conversations about yourself, where you’re from, and such after one month, which would equate to the entire Level-1 of the course. Of course if you go through all five levels of it, which would take 5-6 months depending on if you needed to redo any lessons or not, then you would have a much wider range of vocabulary, grammar, and Japanese expressions and you’d be much better able to hold your own during conversations with natives. I think the coolest thing about Pimsleur is that since it audio based and the lessons are fairly short, it fits in perfectly for most people to learn as they drive to work or school each day. It’s almost like becoming conversationally fluent for free, since you don’t have to set aside any extra time to learn a new language. You can just combine the time you were already spending and acquire a new skill at the same time. I am sure what and how best to learn another language before reading this post. You have seemed to have covered pretty much every avenue that provides best and quick result. Folks that travel a lot will love this and I am too as I do travel a lot. I understand that there are many other things that surround Japanese culture. Do this Apps cover all of it? All in all thanks for sharing such a valuable post. Yeah, I would say that aspects of the Japanese culture are touched upon in the Pimsleur course, and there are some in depth explanations in both the Rocket Japanese & Japanesepod101 courses. Those last two ones tend to focus a lot on covering all aspects of the Japanese language, with the culture being an invaluable part of that. Check those ones out in particular if you are wanting to learn a lot about that aspect as well. For me I don’t know the best approach to learn another language even in particular Japanese but I do feel these courses will be helpful. Should I choose to and I want to travel the world, it makes me consider learning from a lot of resources. I like how each Japanese course has a different method to teaching good article. Yeah, I hear you on that one. Every person is different with their own goals and preferred learning methods, so if someone does end up deciding that thy want to learn another language, including Japanese, then it’s a good idea for them to try out many resources in order to find the one that works best for them. That’s certainly true for me, as I have used dozens of books and courses over several years and I have seen various results. Some of them are really great, and some of them are mediocre at best. You also have to consider your current level and goals to know what is the best use of your time at any given point in the journey. These five I’ve talked about are all solid, and I highly recommend people give them a shot!